(Nanowerk News) A solar cell is basically a semiconductor, which converts sunlight into electricity, sandwiched between metal contacts that carry the electrical current. 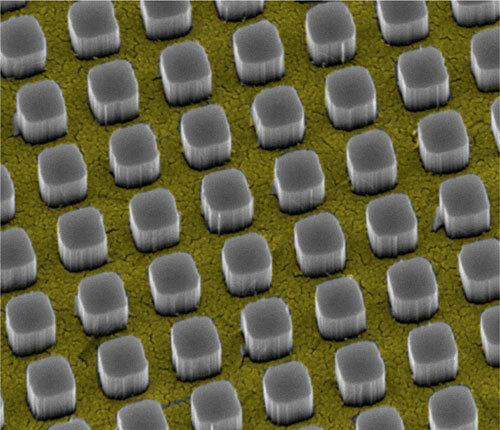 Now, Stanford University scientists have discovered how to hide the reflective upper contact and funnel light directly to the semiconductor below. Their findings, published in the journal ACS Nano ("Hybrid Metal–Semiconductor Nanostructure for Ultrahigh Optical Absorption and Low Electrical Resistance at Optoelectronic Interfaces"), could lead to a new paradigm in the design and fabrication of solar cells.